Diazinon 500 is an insecticide that is effective in eradicating a number of different insect and mite populations. It is extremely harmful to animals and insects and should be used with caution. Do not contaminate water systems or expose animals or pollinating insects to the insecticide. The toxicity of Diazinon makes it unsuitable for domestic use or use in schools, sports fields or playgrounds. It is predominantly for use on commercial crops. 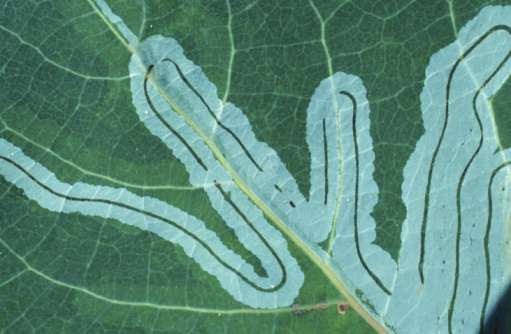 Diazinon is effective in treating leafminers and other insects. Wear protective clothing. 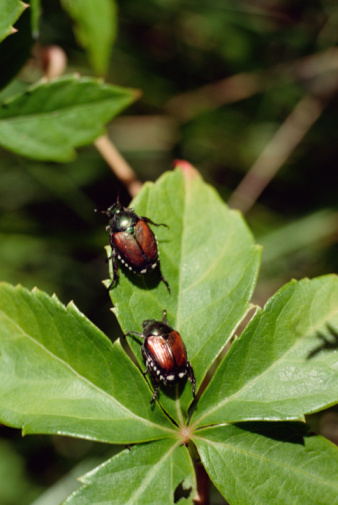 Dress in long sleeves and long pants, shoes and socks when spraying or mixing the insecticide. Wash clothes after you have finished applying the insecticide. Use chemical-resistant gloves, eye protection and a respirator when mixing and spraying insecticide. Fill your spray tank with water. Mix 1 to 1.5 liters of Diazinon for every 1,000 liters of water when spraying ornamental varieties of plants. Mix 500 ml to 1 liter of Diazinon with 1,000 liters of water when spraying fruit tree varieties. (Oils may need to be added when spraying fruit tree pests to increase effectiveness. Consult the label for mixing instructions.) Add 1.1 to 2.2 liters of Diazinon per 1,000 liters of water when spraying vegetable crops. Consult the tables in the user's manual to see the exact mixing ratio for your plant variety. Mix the Diazinon mixture well before spraying. Do not spray on animals or flowers as the insecticide is harmful to all wildlife including pollinating insects. Use a large drop nozzle setting to minimize drift.